Does 'Logan' Have a Post-Credits Scene? Does Hugh Jackman’s final appearance as Wolverine follow the Marvel tradition of hiding extra goodies after the credits? The first Marvel movie of the new year is finally upon us, and it’s quite a doozie. “Logan” has received rave reviews from critics, who have been describing it as one of the best comic book movies ever made. The film currently sports a 93 percent fresh rating on the review aggregate site Rotten Tomatoes. It’s also 20th Century Fox’s second attempt at an R-rated superhero movie in as many years, after “Deadpool” was a huge hit in 2016. “Logan” is the first “X-Men” movie to let Wolverine really cut loose with bloody violence and a whole lot of swearing. So it’s a break from Marvel tradition in that way — as most of the past Marvel flicks have stuck with a more family-friendly PG-13. Does it break tradition in any other ways, like the Marvel staple of including some kind of treat hidden after the end credits? Well, I have some good news and bad news. The good news is that should you really, really need to get out of the theater as soon as “Logan” ends you can do just that knowing you aren’t going to miss any extra scenes. 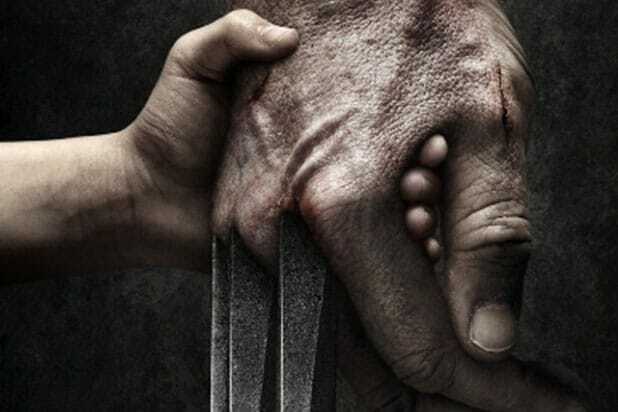 Which is the bad news “Logan” does not feature a post-credits scene or easter egg. That doesn’t mean “Logan” is skipping out on the bonus content, though — the film is just putting it in a different place. Stop reading here if you don’t want to know anything about the extra bit before the movie. The film will actually lead with an extra three-minute-long scene featuring Deadpool (Ryan Reynolds) before the movie proper starts, kinda like the short films that play before Pixar movies. You can read about the Deadpool bit in detail here. That Deadpool bonus is the only extra you’ll find at screenings of “Logan,” so there’s no need to wait for anything else once the credits roll. Though we do encourage all our readers to stick around for the credits anyway in appreciation for the hard work of the hundreds of people involved in the production you just enjoyed. Before you go see Hugh Jackman’s last ride as Wolverine, be sure to refresh your memory of the incredibly convoluted “X-Men” movie franchise with the gallery below. The seemingly immortal Wolverine (Hugh Jackman) has been alive for a very long time. He's also gone through some seriously tragic stuff. But following the "X-Men" movie timeline and all the stuff that's happened to Logan isn't easy, especially since half of it got rewritten by time travel. 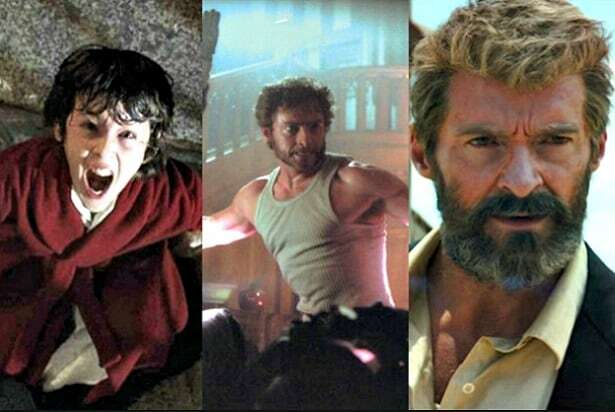 Here's Wolverine's complete history, including time travel changes and the setup for "Logan." En Sabah Nur (aka Apocalypse), believed to be the first mutant, rules in Ancient Egypt. His people turn on him, though, and manage to bury him alive and kill his powerful mutant allies. Wolverine's mutant powers first manifest when he was a child, including his bone claws and his superhuman healing ability. After accidentally killing the groundskeeper on his family's estate, Thomas Logan (who is actually James' real dad), he flees with Victor, his half-brother who becomes Sabretooth. Being superpowered, tough to kill, and basically immortal, James and Victor float around America for about a century. They fight in the American Civil War, World War I, World War II and Vietnam. Their exploits get them noticed by William Stryker, the guy who will help create the persona known as The Wolverine. James starts calling himself Logan. 1945: Captured and held in a Japanese POW camp, Logan is on-hand when Nagasaki is bombed. A Japanese officer lets him out of the well he's being kept in, but Logan instead uses the well to save himself and the officer from the blast. The officer, Ichiro Yashida, spends the rest of his life grateful to Logan for his aid. 1962: In a brief cameo moment, young Professor Charles Xavier and Eric Lehnsherr (soon to become Magneto) attempt to recruit Logan into the nascent X-Men team. Logan is ... not interested. 1962: During the Cuban Missile Crisis, the evil Sebastian Shaw and his mutants attempt to start the next world war. The X-Men stop them, but Xavier is shot and paralyzed, and the "X-Men" mostly break up. As a result of the battle, some members of the government and military become aware that mutants exist, but not the general public. In Vietnam, Col. William Stryker recruits Logan and Victor to join a mutant strike force called Team X. Victor takes to it and Wade Wilson, AKA Deadpool, is also part of the team. Logan eventually bails on the team. He's not a fan of their overly violent methods and disregard for humanity. 1973: During the Vietnam War, scientist and industrialist Bolivar Trask learns of mutants and dedicates himself to finding a way to destroy them. He captures Mystique and experiments on her, copying her shapeshifting powers for his robots. It'll be years before his Sentinel program comes to fruition. Six years after Logan leaves Team X, he falls in love with a woman named Kayla Silvefox. But she turns out to be a plant by Stryker, and fakes her own death, framing Victor for the killing. That leads Logan back to Stryker to get revenge on his brother. Logan agrees to let Stryker coat his skeleton in adamantium so he can beat Victor, giving him his metal claws and nearly indestructible bones. His mutant healing superpowers allow him to survive the process. Logan escapes the Weapon X program, but heads to Stryker's base on Three Mile Island and fights the next generation, Weapon XI (a transformed Deadpool). Stryker escapes, but not before shooting Logan in the head with two adamantium bullets. The shots don't kill him, but they do cause Logan to lose his memory. Years later, Professor X recruits Logan to the X-Men after he's attacked by Magneto's Brotherhood of Mutants, including Sabretooth. They go on to stop Magneto from turning all humans into mutants. Logan falls in love with psychic team member Jean Grey, but she's already with Scott Summers, otherwise known as Cyclops. Logan has rejoined the X-Men years later when Xavier's School for Gifted Youngsters is attacked by Stryker and several students are kidnapped. The X-Men follow Stryker to his facility at Alkali Lake, where Logan kills Lady Deathstrike, a mutant with adamantium finger claws, and leaves Stryker to die. Jean Grey, who Logan has fallen in love with, sacrifices herself so the other X-Men can escape. Jean Grey isn't dead after all and returns as the Phoenix, a super-powerful mutant personality who has been dormant inside Jean for years. Logan and the remaining X-Men fight off an army of mutants led by Magneto and defeat him. In the end, to save everyone from Jean's power, Logan has to kill her. It'll take him years to deal with the guilt. In the aftermath of Magneto's defeat, mutants apparently become accepted by society. A mutant cure circulates that allows people to choose to become normal and many mutants take it. The effects apparently aren't permanent, however. Still plagued by guilt and mourning the loss of Jean Grey, Logan lives off the grid. He's eventually found by Yukio, a mutant woman. She works for Ichiro Yashida, who Logan saved in 1945 in Nagasaki. Yashida is dying and offers to take Logan's healing powers, freeing him from his immortality. Logan refuses the offer and Yashida apparently dies. Logan saves Yashida's daughter and heir, Mariko, from assassins, but loses some of his healing abilities when a mutant called Viper infects him with her venom. Eventually, Logan tracks the conspiracy back to Viper, where he's attacked by a not-dead Yashida. Logan and Yukio kill him after he saps some of Logan's healing ability in an attempt to steal it and make himself immortal. Approx. 2024: In the not-too-distant future, Trask's Sentinel program is being used to wipe out mutants and humans who support them. The Sentinels possess Mystique's shapeshifting powers, which makes them almost indestructible. Professor X, Magneto and a handful of mutants use Kitty Pryde's power to project Logan's consciousness back in time to stop the Sentinel program in its infancy. 1973: Arriving back in his own body, Logan recruits Professor X, Magneto and Hank McCoy (otherwise known as Beast) to stop Mystique from trying to assassinate Trask. Her failed attempt in Saigon is the moment she's captured, so changing the event should stop the Sentinels in the future. The team saves Mystique, but Trask still gets hold of some of her DNA, and mutants are revealed to the public much earlier than in the original timeline. 1973: Knowing the future, Magneto attempts to kill both Mystique and Trask to stop the Sentinel program. Mystique stops him, Xavier convinces her to spare Trask. President Nixon in turn is cancels the Sentinel program after Mystique saves him from Magneto, and Trask is arrested. A new timeline is created, rewriting everything that happens after 1973. Alternate 1973: In the newly changed timeline, during the battle with Magneto, Logan is tossed into the Potomac. A young Stryker finds Logan and inducts him into the Weapon X program. The timeline of Logan's life is altered from what happens in "X-Men Origins: Wolverine." Alternate 1983: Cultist followers of Apocalypse find him buried in Egypt find and free him. This didn't happen in the original timeline, but perhaps occurs because of the reveal of mutants living among humans in 1973. He recruits new lieutenants in Storm, Psylocke, Angel and Magneto. Professor X's school is destroyed when Apocalypse and pals attack and kidnap Xavier. In the aftermath, Stryker's forces show up and capture some of the X-Men. The students, including Jean Grey, Quicksilver and Scott Summers, otherwise known as Cyclops. In doing so, they free an adamantium-infused Logan, who is at this point the brainwashed Weapon X. Jean returns some of Logan's memories before he escapes into the wilderness. Mystique convinces Magneto to stop inverting the world's magnetic poles, and together with the young X-Men, they save Professor X and defeat Apocalypse. Meanwhile, at Stryker's Weapon X facility, a team of scientists from the Essex Corporation recover blood samples from Logan. In the alternate 2010s, Wade Wilson was apparently never part of Team X. A bad dude called Ajax experiments on Wade, giving him mutant healing but leaving him disfigured. He becomes Deadpool and teams up with X-Men Colossus and Negasonic to go after Ajax and rescue his girlfriend. The final scene of "Days of Future Past" shows Logan's consciousness returning to his body in alternate circa 2024 from 1973. He realizes he's changed a number of events in the original timeline, like saving Jean Grey and Scott Summers, who both died in "The Last Stand," and preventing the Sentinel apocalypse. He's the only one who remembers the old timeline, but he doesn't remember anything that happened since 1973. 2029: Logan works as a limo driver at the start of "Logan," earning money to buy medication for Professor X. Logan, aided by Caliban, takes care of Xavier, who suffers from seizures. Coupled with his incredibly powerful psychic abilities, Xavier's seizures can paralyze the people around him and even kill if he's not medicated.